What are carbohydrates? Do carbohydrates make me fat? Do carbohydrates cause high blood sugar? What carbohydrates should I eat? Read more for the skinny on carbs! 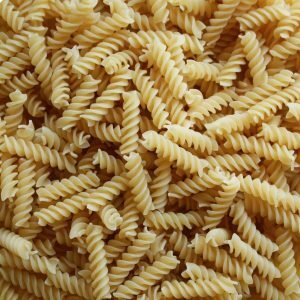 Do carbohydrates make me fat? 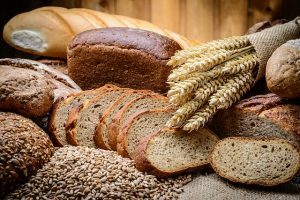 Do carbohydrates cause high blood sugar? Many people try to cut out carbohydrates when they go on a diet. Examples of low-carbohydrate diets are the Atkins diet and ketogenic diets. The belief that carbohydrates alone can make you fat is not true. Let’s look at the facts. Your body breaks down the food you eat into its’ different parts. If you eat peanut butter, for example, your body will break it down mainly into protein and fat since that is what it is made of. A piece of white bread is made of carbohydrates, which are ultimately broken down into different types of sugar in the body. Your body uses carbohydrates, fat, and protein for energy. If your body does not need to use these energy sources when you happen to eat them, it will store them for later use. Some of the energy is stored in the form of fat. In other words, eating too much of anything, not just carbohydrates, can lead to fat storage. The important thing to remember is to eat a variety of healthy foods and watch your calories. Blood sugar increases after eating carbohydrates. As noted earlier, this is because carbohydrates are broken down into different types of sugar in the body. These sugars then travel through the bloodstream to different parts of the body to be used as energy or stored for later use. Frequently eating a lot of carbohydrates can cause consistently high blood sugar, which may lead to health issues like inflammation and diabetes. Does that mean carbohydrates are bad? Not necessarily. Your body needs those sugars to fuel your muscles and your brain. What’s more important is the type and the amount of carbohydrates you eat. 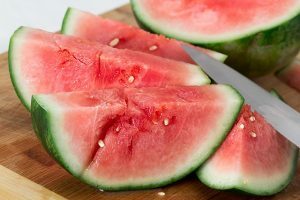 Eating carbohydrates that contain fiber (think whole grains, fruits, and starchy vegetables) can prevent the sugars from entering your bloodstream too fast and spiking your blood sugar. Limiting the amount of refined or simple carbohydrates, like sweets, sweet beverages, baked goods and products made with refined flour, can limit blood sugar spikes as well. Good carbohydrate choices include low-fat, unsweetened dairy products, fruits, dried beans, and starchy vegetables. Whole grains are another great source of carbohydrates. Whole grains are made from 100% of the original grain. This means they still contain all the naturally-occurring vitamins, minerals, fiber, and protein that the original grain contains. Refined grains on the other hand, like white bread and bleached flour, are missing one or more of the original parts of the grain, causing them to lose up to two thirds or more of their original nutrients. The 2015 Dietary Guidelines recommend eating 3-5 servings of whole grains a day . A serving looks like ½ cup of whole grain pasta, starchy vegetable, or brown rice, 1 slice of whole grain bread, and one small whole-wheat muffin. When you’re looking at a packaged item like bread, make sure you look for the word “whole” in the description, like “whole grain” or “whole wheat”. If the word “whole” isn’t included, it means the bread might not be made from the entire kernel. Bottom line: Focus on choosing vegetables, fruits, whole grains and water more often. Don’t eat more than your body needs.